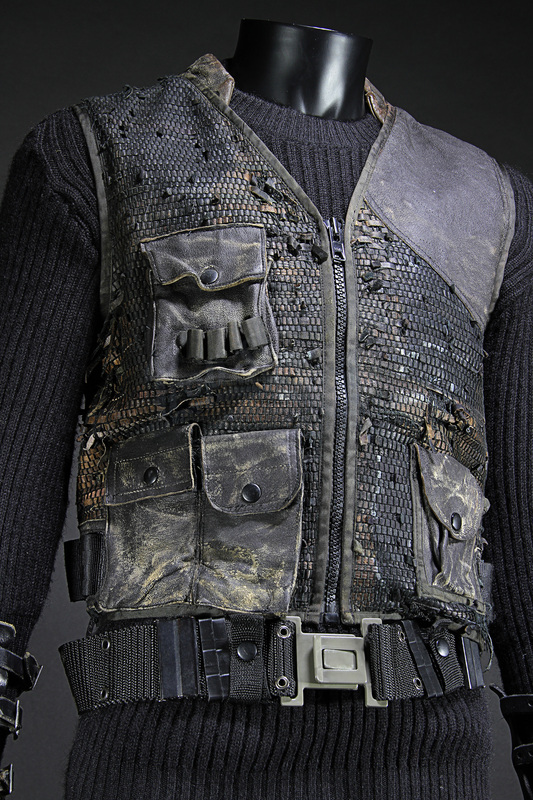 A costume worn in the production of the Vin Diesel sequel The Chronicles of Riddick. Riddick (Vin Diesel), hidden for five years after the events of the movie Pitch Black, is forced to come out of hiding to fight the villainous Necromongers, and fulfil a dark prophecy in the process. 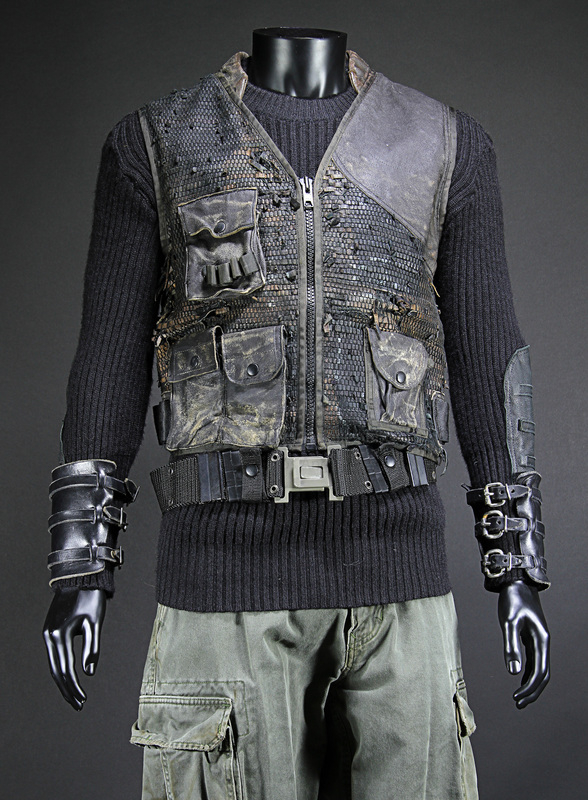 This costume was worn by the Merc leader Toombs (Nick Chinland) when he captures Riddick on the surface of Helion Prime. 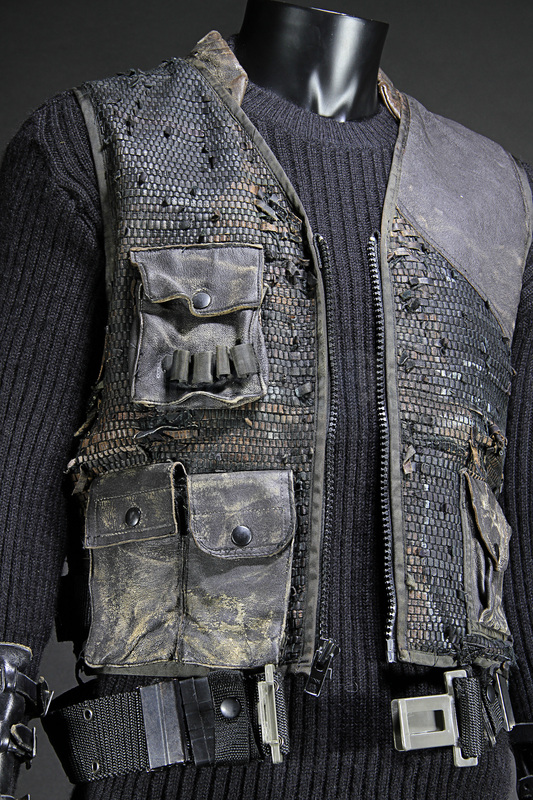 The costume consists of a pair of green combat trousers, a black woolen jumper, a dark brown leather sleeveless jacket with four pockets on the front and adjustable straps at the back, a pair of black leather bracers, a black webbing belt and a long black robe with faux-gold detailing. 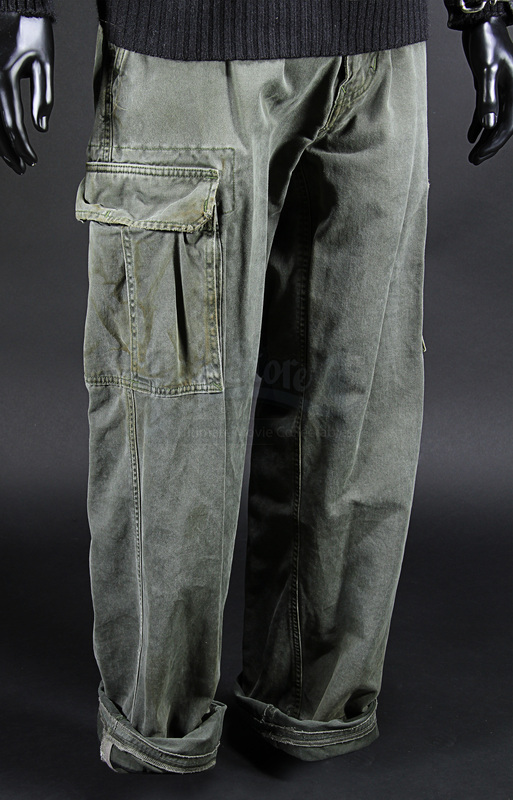 The entire costume has been distressed for use in the production with plenty of wear and fading applied. The trousers are marked "Toombs Harness." 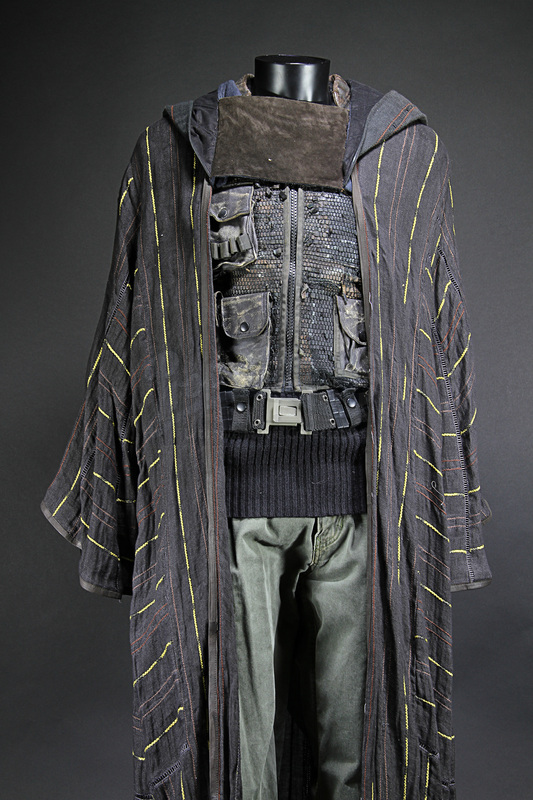 Well-used on the production, the costume remains in very good production-used condition. The jumper is marked as size 44 with no other sizes marked.